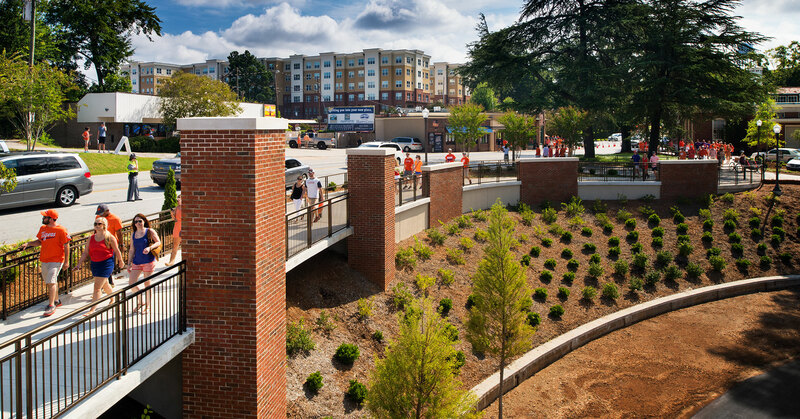 Initiated by an essential need to improve pedestrian safety along the Highway 93 corridor, our team designed a solution that stretches from the Historic Riggs Soccer Field past the tennis courts and intramural fields to the intersection of Williamson Road. 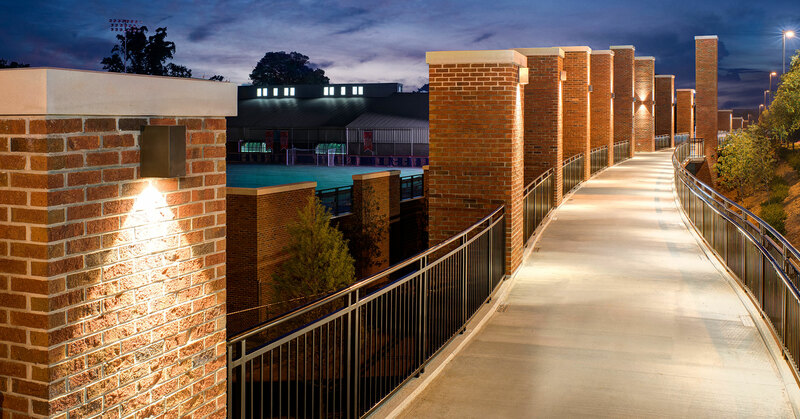 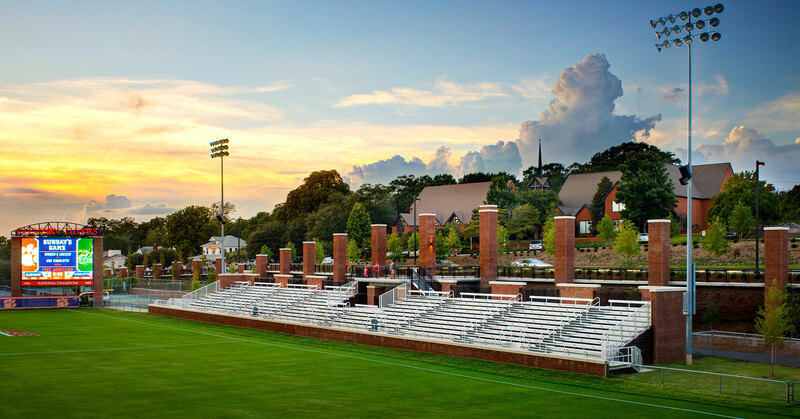 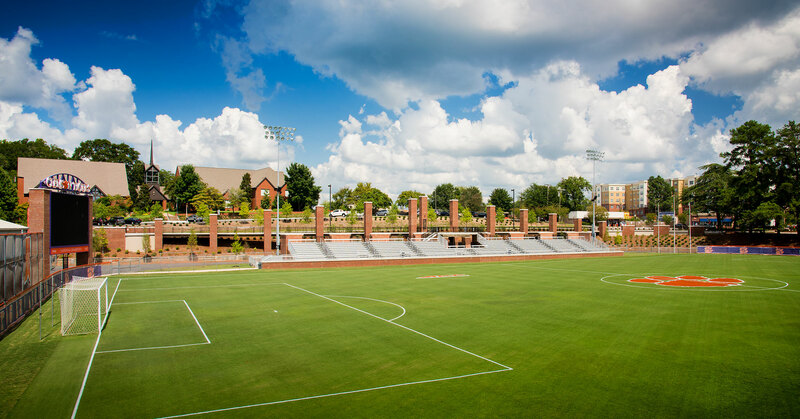 The elevated walkway not only provides pedestrians safer passage but also creates a unique plaza overlooking Riggs Field and connects new visitor bleachers for soccer, increasing seating capacity and ADA accessibility while enhancing the atmosphere. 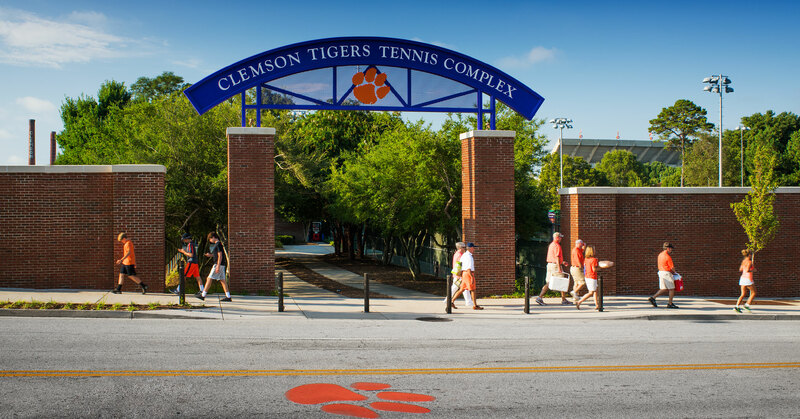 A new entry to the tennis venue was also a part of the athletics portion of the project. 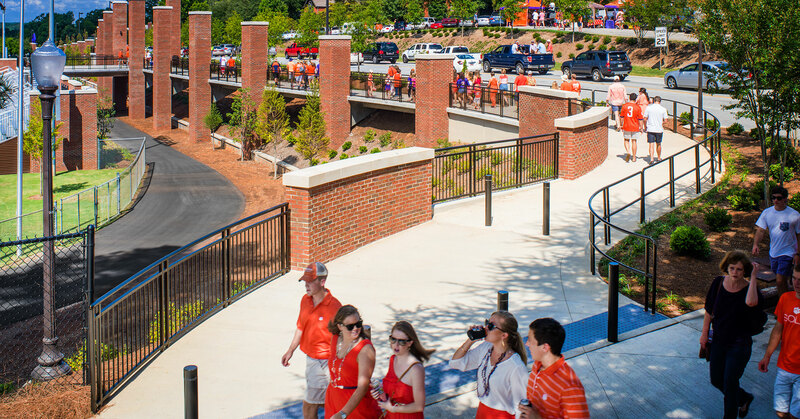 The project was partially funded by the City of Clemson and grants from the South Carolina Department of Transportation in addition to Athletics funding.